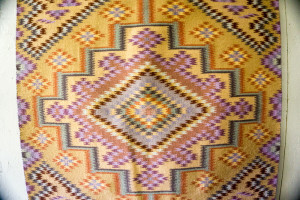 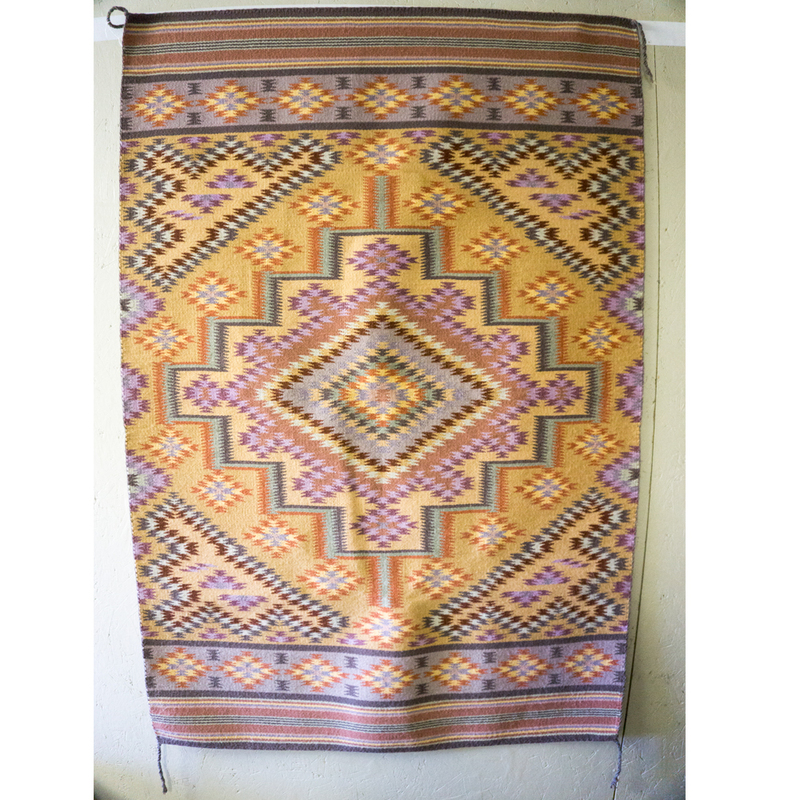 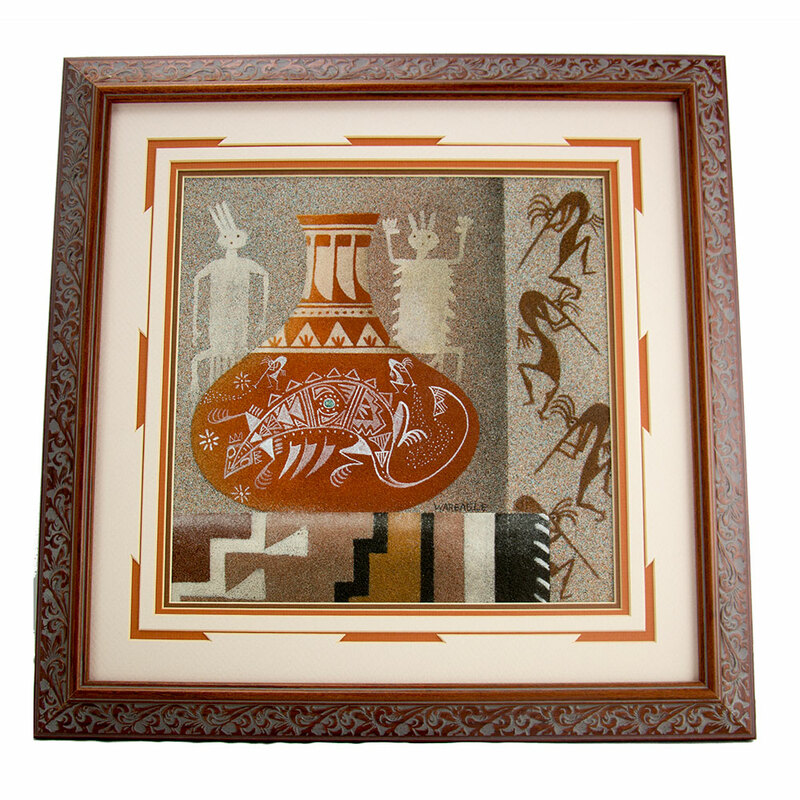 An original sand painting by well renowned Native American painter H.R. 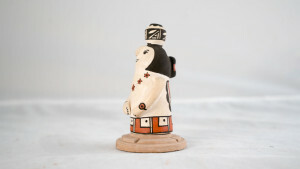 Begaye (War Eagle). 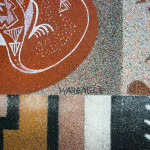 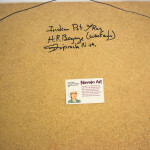 The painting is signed to the verso and is annotated as having been painted in Shiprock, New Mexico. 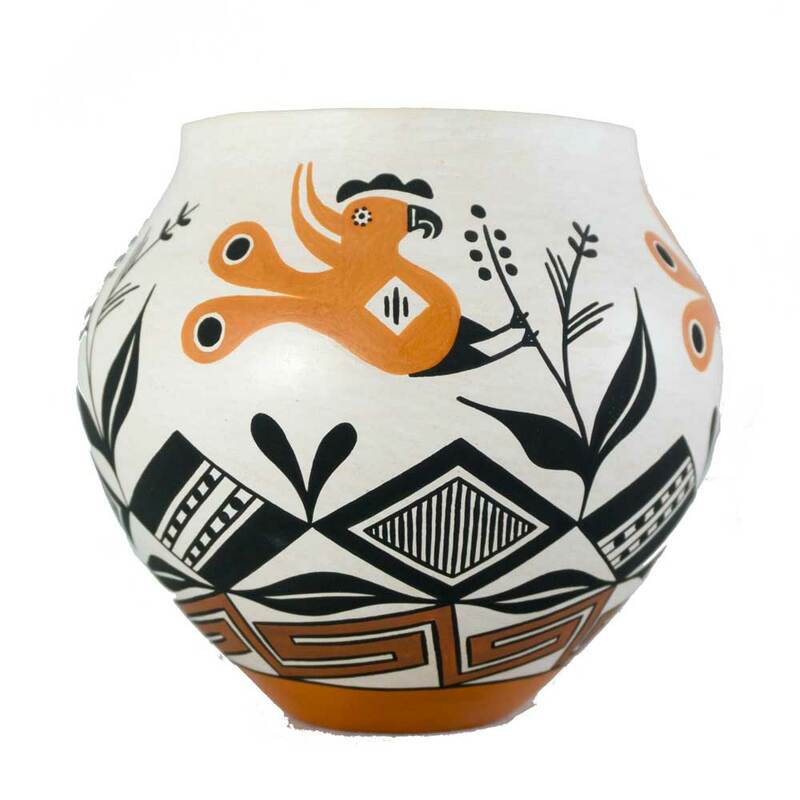 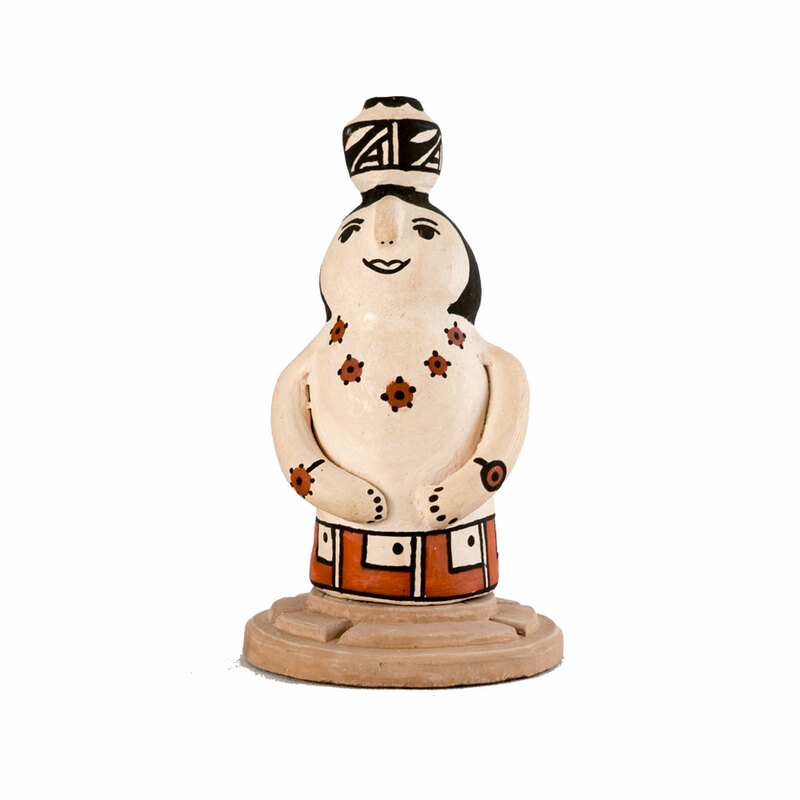 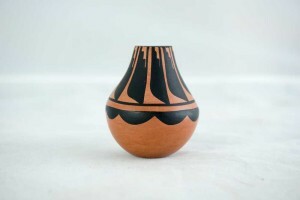 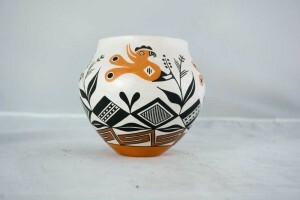 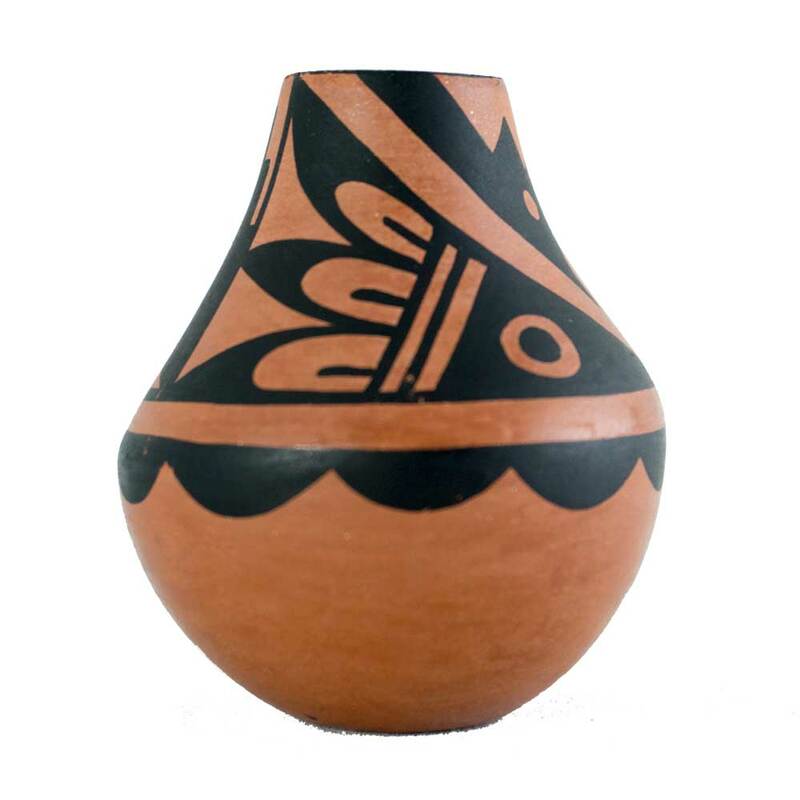 The painting features a thoroughly exciting image of a Navajo figure dancing spiritedly in the middle of the desert around a large black vase with beautiful grey motifs all over it. 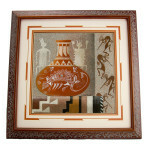 This incredible painting is presented in a naked wooden frame with intricately cut tripled mats. 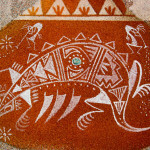 War Eagle is a contemporary Navajo artist who through the technique of using sand and acrylic paint, creates traditional landscapes of his Navajo homeland as well as his own version of the myths and culture of his people.